There is no right answer, nor wrong answer in this submission; Your response alone is commitment enough. If, however, you are not willing to enter into a world of your own imagining, it is best you turn back now. * The experience is composed of discussion, involves light/business interactions with smelling akin to any scent-based purchase. No party shall willingly or knowingly overstep those bounds, cause harm to persons or property. Any sign perceived as a threat or danger to anyone involved will result in an immediate ending of the process and termination of the experience, without refund. 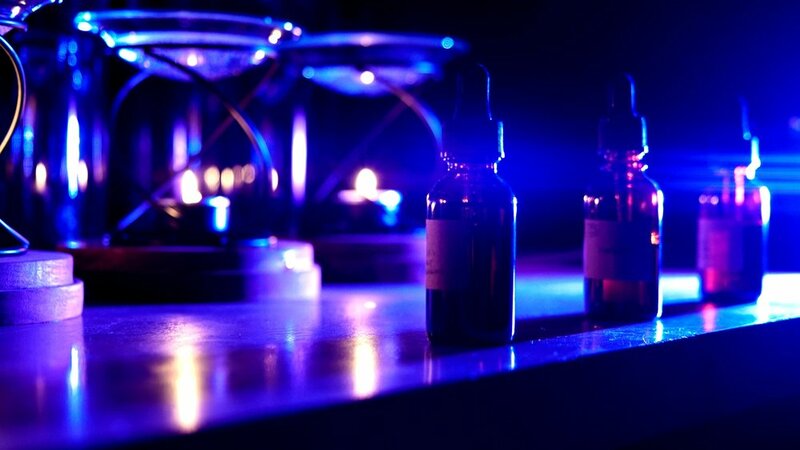 The experience will be monitored to ensure quality and safety is maintained ** This is a creative process involving physical and intellectual property owned by Cantrip Candles and L.L. Scene, LLC (DBA Walk the Night Prods.) That collaborative process and the result of it is in the purview of Cantrip Candles & Walk the Night Prods, both of which retain joint ownership of any content in the experience. The publication of said materials are handled at the sole discretion of Cantrip Candles / Walk the Night Prods., and cannot be infringed upon by any outside party. nod & give a succinct reply. ask for / check directions. share in & ask their story. invite them to join you on the way. Would you like to elaborate / care to share anything else? Thank you, Adventurer. We will prepare for your arrival at our agreed-upon time. Parking is currently available on Vine Street, South of Santa Monica, in front of the school. You will see a taqueria on the corner of Barton & Vine; across the street is a building with wings painted on it. Start at the wings; walk east, away from Vine Street. Look for a blue porchlight.